The statement made by the President of the United States, Donald Trump, regarding a possible military intervention in Venezuela has been condemned by many countries. Trump had said he was considering possible military action against Venezuela. Trump was upset when Venezuela’s President Nicolas Maduro won an election shattering US hopes of defeating Maduro and getting a share of Venezuela’s fuel deposits. Venezuelan Foreign Minister Jorge Arreaza condemned Trump’s outburst and called for the support of the Venezuelan people, who mobilized in a march in the capital this August 14. “The stronger the imperialist threat, the more the people will take to the streets and demonstrate that we are a sovereign and dignified people,” he said during the anti-imperialist mobilization. 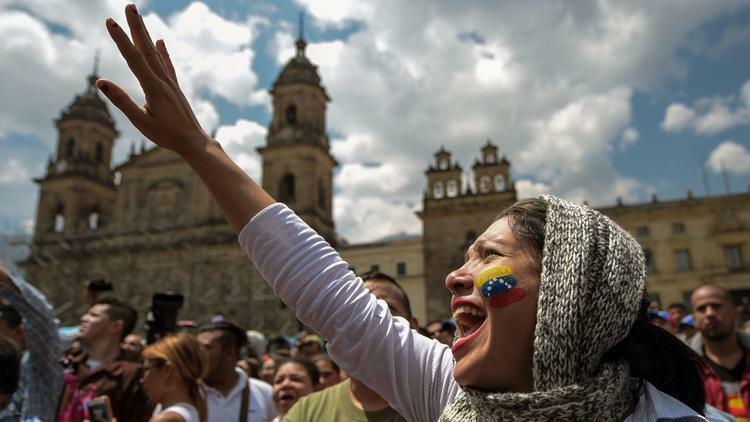 Representatives of social organizations, movements, and different sectors participated in the march, which surrounded the headquarters of the Venezuelan government to reject the recent warmongering threats of the U.S. President against the South American nation. Statements in support of Venezuela have been made by international organizations, Latin American governments, China and Russia. FCID has begun an inquiry regarding an incident in which Parliamentarian Namal Rajapaksa is said to have threatened a Sub-Inspector attached to the FCID. The incident has happened yesterday when Mr Namal Rajapaksa accompanied his brother Yoshitha Rajapaksa to the FCID who arrived at the FCID to be questioned regarding a defender vehicle that is said to have been used in the murder of popular rugby player Wasim Thajudeen. The police officer, who is said to have been threatened by Parliamentarian Namal Rajapaksa, is Sub-Inspector Shantha Lalith, who is an efficient officer in the FCID say police sources. The investigations being carried out against Parliamentarian Namal Rajapaksa in connection with the multi-million dollar Krrish deal are handled by Sub-Inspector Shantha Lalith. The US$ 650 million Krrish Tower project which was initiated during former President Rajapaksa’s period has been marred with controversy with allegations of secret payoffs to several VIPs in the country at that time. Mr Namal Rajapaksa is accused of pocketing between Rs. 70 to 100 million from the deal. Perpetual Treasuries CEO Kasun Palisena says he doesn’t know what happened Rs. 712 million profits earned by Perpetual Treasuries in 2014 and 2015. He said this yesterday (16th) testifying before the Presidential Commission to investigate the bond scam. Supreme Court Judge Prasanna Jayawardena said Palisena would be held responsible and ordered him to make the information regarding the money to the Commission. The information regarding the recording system of the bond room of Perpetual Treasuries the witness had been asked to submit had not been provided and the judge said it would be verified with the company that supplied the service and warned the witness that providing false information could lead to a jail sentence. When lawyers representing Perpetual Treasuries asked more time to provide information regarding W.M. Mendis Ltd, one of the subsidiaries of Perpetual Treasuries, the Commission rejected the request and warned that the details should be provided during the course of the day.